Bitcoin and the underlying technology of cryptocurrency is poised to revolutionize the world of banking and financial equity. Can Bitcoin make it through the volatile startup years and be adopted as a global currency? With an estimated 50,000 businesses now accepting Bitcoin and more than $100 million in venture capital investments, 2014 could be the tipping point for this new form of value exchange. 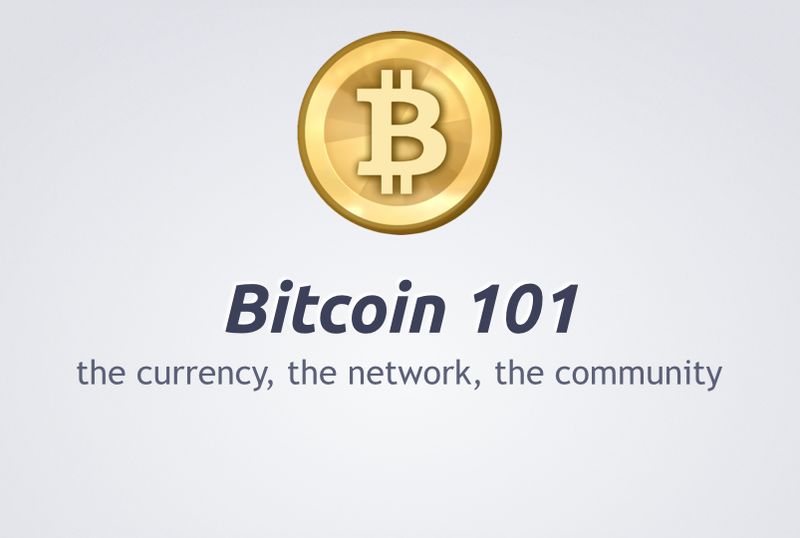 In this introductory presentation, you’ll learn what Bitcoin is, why the technology is revolutionary and how you can get involved in the community. Find out how businesses can save 2-3% on credit card fees and have instant access to a global market. Discover how digital currencies are supporting thriving local economies. 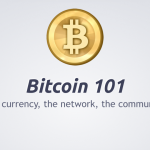 Don’t miss this opportunity to educate yourself on the fundamentals of Bitcoin and see how you and your business will benefit. 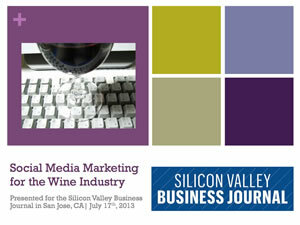 The wine industry has been one of the slowest industries to adopt internet-based technologies. 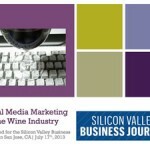 There is a big opportunity for wine brands to engage directly with those who drink the wine. Relationships sell wine! My twitter handle @SocialVenture was listed in the top 50 most connected tweeters in the world of social enterprise, commissioned by The Guardian Social Enterprise Network. The Internet is having a profound impact on all areas of business. 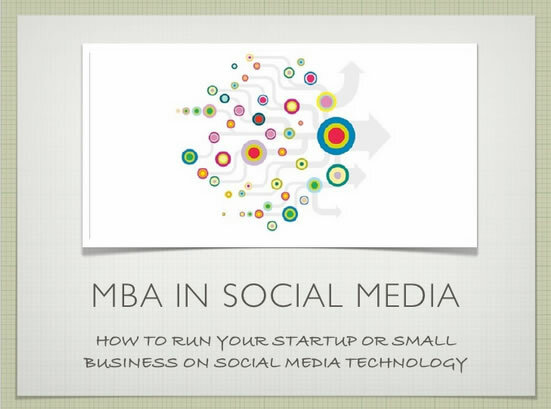 In this presentation, learn a to leverage social media media technology to power all aspects of your start-up or small business. The communication age has brought with it a host of problems for the human body: stress, anxiety, arthritis, back pain, heart failure and depression to name a few. But it doesn’t have to be this way. 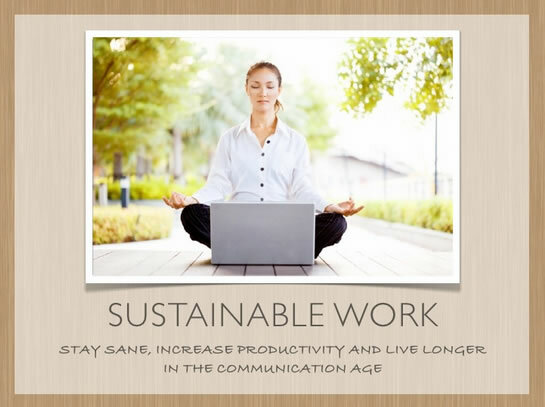 We can live in grace with technology by reframing how we work. In this workshop you will learn how to manage your email inbox and social media to reduce anxiety and increase productivity. Discover new ways to work including standing desks, mobile offices and simple exercises that will increase your focus and help you accomplish important goals. Whether you work at home or from a cubical, this workshop will show you that how you work is as important as the work itself. Companies today are able to engage in dialogue with their consumers through a variety of mediums, from traditional methods such as product packaging, to newer methods such as social media. However, according to a recent study by Carbon Trust, only a small percentage of consumers place confidence in companies’ sustainability claims. Additionally, hesitations in integrating social media into communications strategy still exist alongside a lack of understanding of how effective these tools can be. Our session today will examine how synergies between social media and communication strategy can have a tremendous impact by restoring consumer confidence, creating two-way dialogue, and promoting green practices. We investigate cost, return, strategy, transparency, and benchmarking for these communications campaigns, within the greater conversation of how this form of new media and globalization have compelled change in the corporate- consumer relationship. Social Media is translating sustainability principles into business practice through radical transparency, networked collaboration and optimized efficiency. In this workshop, Joey Shepp will lead you through world-changing trends, new-paradigm principles and real-world applications in leveraging social media for your sustainable enterprise. 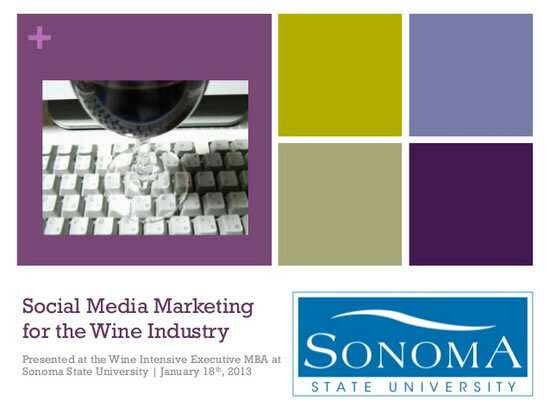 Go beyond marketing in applying social media to all areas of your business. Gain practical digital business skills to drive sales, cut costs, engage customers and reduce your carbon footprint. How to leverage social media for social good. Social Media is changing the world for the better. In this presentation learn about current social media trends, principles of social good media and see “cause studies” with sample videos.